When I think back to my first year in Spain, and even my second, part of me cringes when I think about the things I thought I knew about the country. And when I say country, I really mean the country’s gastronomy scene – a topic that I’m passionate about no matter which part of the world I’m in. I thought Spanish food was simple. I had this notion that Spanish food was kind of bland. And for some reason or other, I wasn’t convinced that it was anything special. If you’re only going to visit Spain for a short period of time, don’t waste any time in making this exact mistake, and make sure you leave it to the professionals to help you discover these amazing flavors. Thankfully, after two more years of living in Spain and thanks to my Spanish boyfriend and his family of amazing cooks, I get it. Spanish food is special. It’s steeped in both flavor and tradition. It’s made with spices and ingredients that have been around for ages and that have continuously produced spectacular food. It’s comforting and flavorful, and because food here is often cooked slowly, the flavors are inexplicably complex. 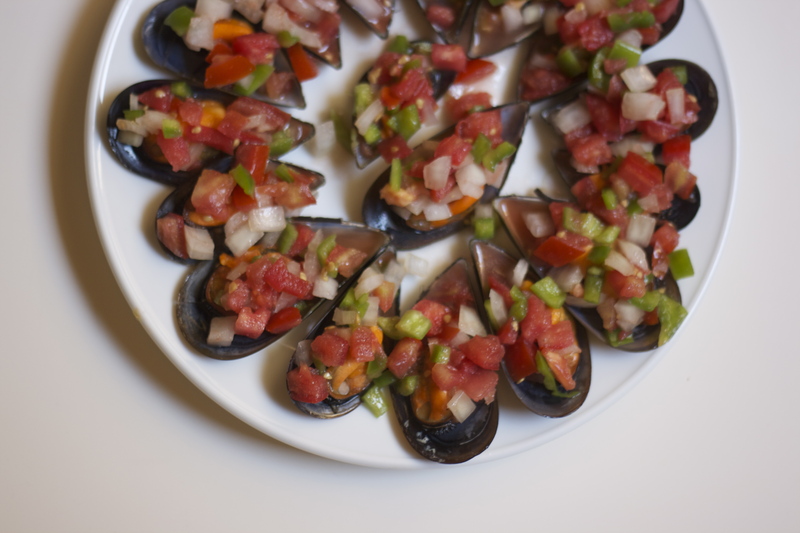 Here are five Spanish foods I wish I had known existed long before I ever did. Espinacas con garbanzos is a dish of comfort and flavor. Although I eat spinach in salads, I never knew people really cooked the stuff until I got here, and I have to say cooked spinach is better than raw spinach on all counts. Espinacas con garbanzos starts with frying garlic and day-old bread, which becomes the base of the dish. 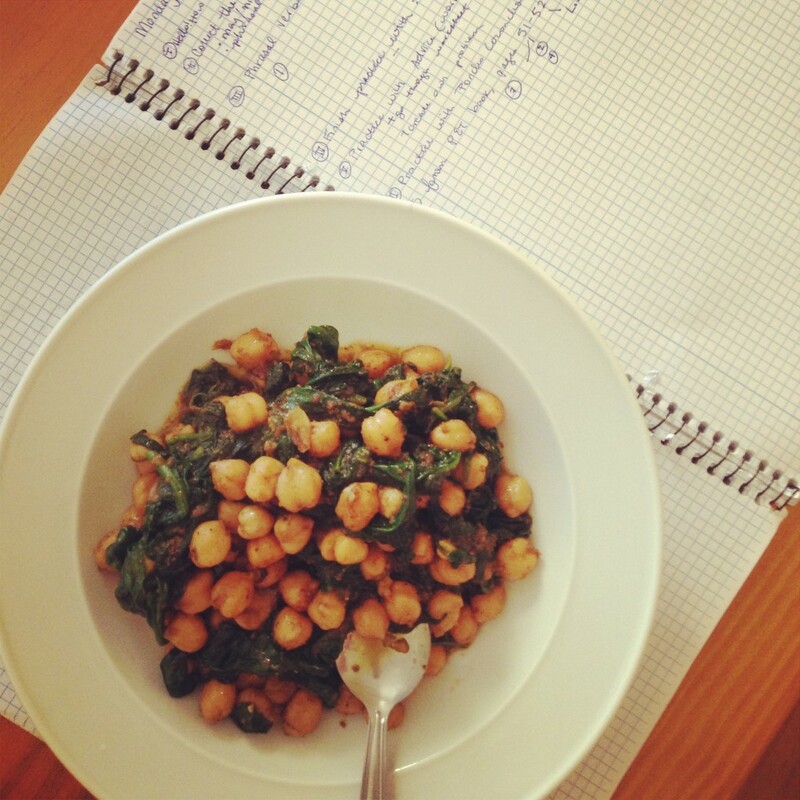 Then, the spinach is added and cooked down with spices like cumin and a touch of pimentón until, finally, you add the fresh chickpeas. I could eat this dish anytime, anywhere, but it’s really best on a chilly day and served with a piece of crusty baguette to sop up the leftover cumin-laced sauce. Morcilla. Okay, so I did know what it was, but I had no idea how good it was. Just do yourself a favor, and don’t think about what it’s made of and enjoy the rich and robust flavor of this incredible cured meat. It’s also a perfect touch in classic stews made in Spain with lentils or garbanzo beans. Caracoles are another food I’d heard of, but again one of those things I chose to politely ignore. When my Spanish coworkers told me the translation of caracoles in English (snails), I felt squeamish. I think now is a good moment to note that I have always been an unbiased and adventurous eater, but after one slimy-snail-related situation at my house almost 15 years ago, I told myself I’d never go back. But I did go back, only about six months ago, and now I keep going back for more and more. Snails here in Spain are anything but slimy. The best snails I’ve ever eaten were in Córdoba, and they were bathed in a yellow cumin-spiced broth. After getting all of the snails out of the little cup, my boyfriend and his parents and I all stood over the little dish and took turns dipping our spoons in just for that delicious liquid. And in Sevilla, it’s typical to order cabrillas, which are a bit bigger than the normal snails, and drenched in spicy tomato broth. The only regret I have about snails is that I waited so long to try them. Huevos fritos seem simple enough. They may seem so simple, in fact, that you steer clear from ordering them at a bar or restaurant, just like I did. But to understand why that is a huge no-no while visiting Spain, you must understand that a fried egg here is nothing like a fried egg back home. Actually, when I make fried eggs at home, my boyfriend scoffs at me, and tells me it’s offensive to grill an egg in a spot of oil and still call it frying. He thinks this, of course, because a fried egg in Spain is just that. An egg gets broken into almost a full inch of hot olive oil, and instead of flipping it half-way during the cooking process, the cook simply takes a spatula to splash the hot olive oil on top of the egg. This process leaves the egg cooked to perfection and tasting nothing like the fried eggs I grew up with. Coquinas are tiny little clams that are collected on the coast of Andalucía. I suppose this is a good moment to mention I was born and raised Midwestern. I ate meat of all kinds, while fish and seafood were rarely served at my house. When I moved to Spain, I started learning Spanish words for fish while simultaneously learning them in English, but I rarely ordered fish at restaurants and, in general, had no idea how many delicious things I was missing out on. When I first started dating my boyfriend, we’d go out to dinner together and he’d always gravitate toward the fish on a menu. And as first dates and shyness go, I could never say no. And thus began my love affair with fish and seafood in Spain, and coquinas are number one on my list. 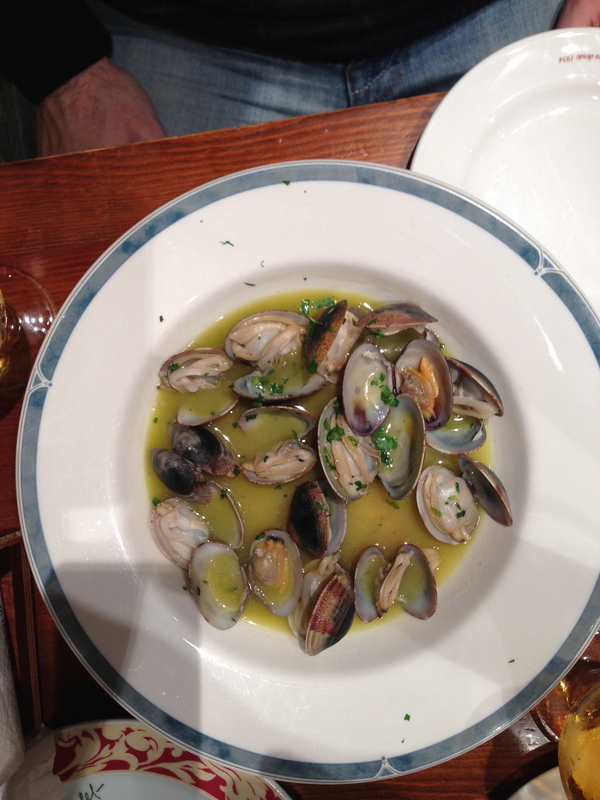 The little clams are cooked with olive oil, garlic and parsley until they open right up. They are sweet and soft, and the perfect meal after a day spent at the beach. Like many Spanish dishes, the leftover sauce from the cooking process is the perfect place to dip your bread, soaking up every last drop. Katie Stearns lives, eats and breathes life in the South of Spain, where she’s going on her fourth year of life abroad. What started out as a nine-month stint teaching English as a foreign language has spun into a career of writing and marketing for Andalucía Inside, a luxury tour guide company located in Seville. All photos are her own. Blogging can be a strange thing – you often find you ‘know’ people without having met them face-to-face (and when you do meet them, you don’t have to fumble through the awkward introductions). One of those people is Molly Sears-Piccavey, a British resident in nearby Granada. 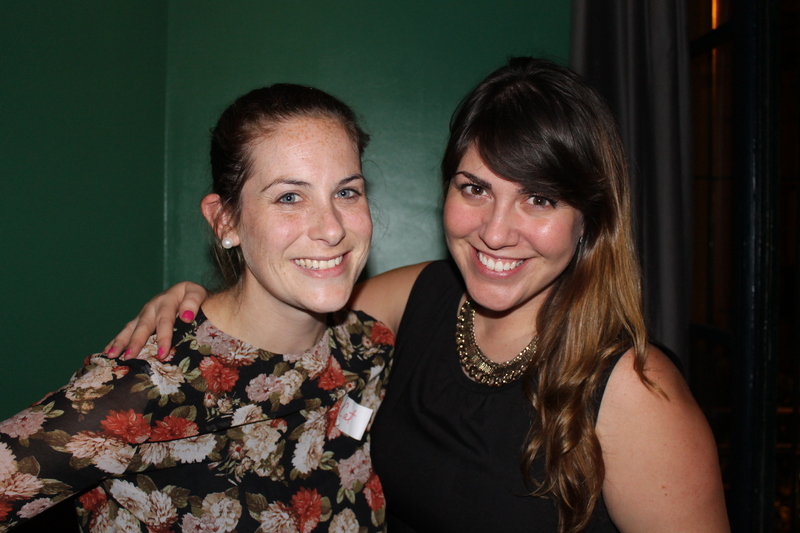 She and I have been reading one another’s blogs for years, and we finally got the chance to meet at the annual Writers and Bloggers About Spain meet-up earlier this month. Read more about Molly and Granada, and be sure to check out her great blog about her adoptive city, Piccavey.com. 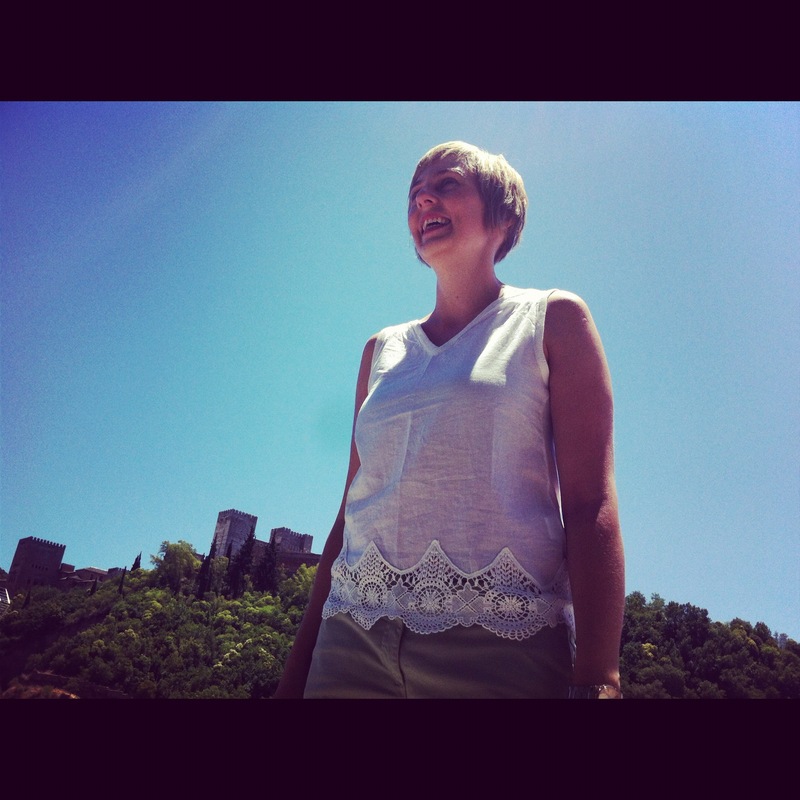 I’m a British girl living in Granada, Spain. I have been here since 2006 and know the place well. This city has a rich historic background, many fascinating buildings and traditions. The Sierra Nevada Mountains are a breathtaking sight to see. On a warm spring day you can still see the snow on the peaks of the mountains just a few miles outside the city. The beaches are a 35 minute drive from the city and the area along the coast produces tropical fruit such as mangoes, bananas and avocados. What does Granada have that can’t be seen in other places? 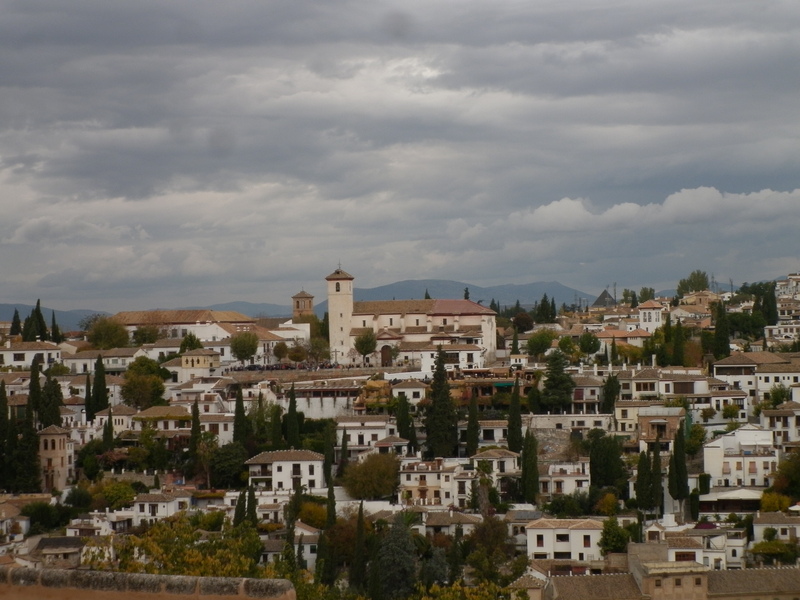 Most people know of Granada because of the Alhambra palace. 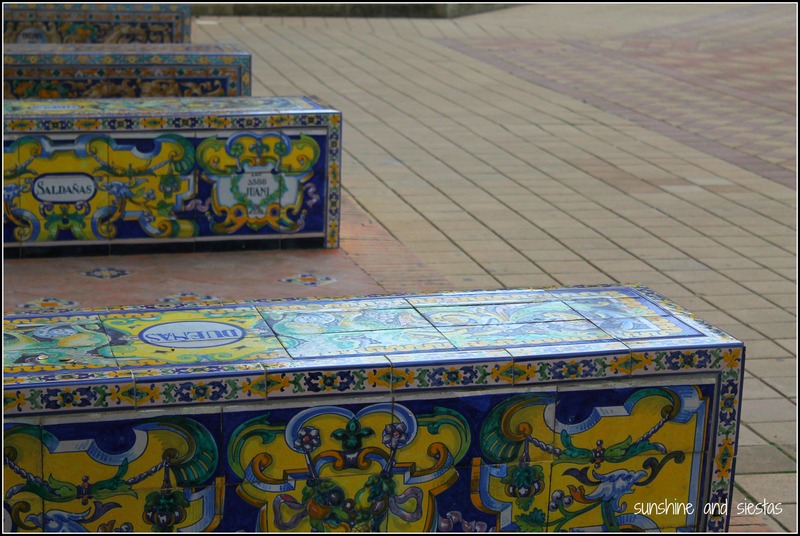 This monument and the typical Albaicin quarter are both UNESCO World Heritage sites. But reaching past the city, the province of Granada really is a land of contrasts. You can see beaches, rivers, mountains, deserts, lush valleys and historic sites within a 30 minute drive of the city. Most of the year, you can see snow on the mountains and in summer we have red-hot temperatures. 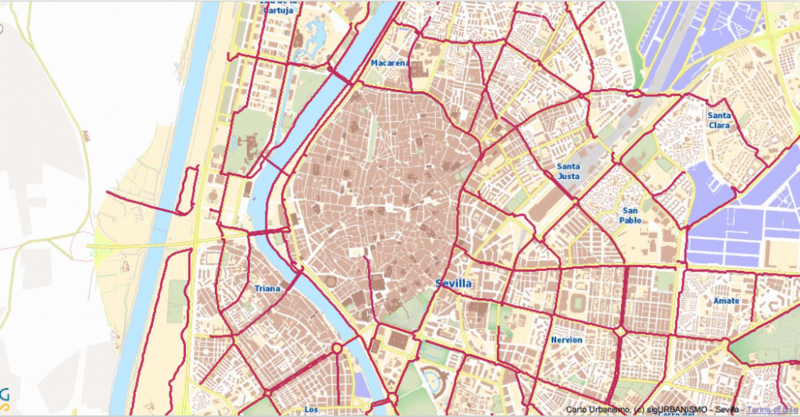 Because of the diverse geography, it is great for outdoor sports such as walking, climbing and cycling. What is the best time to visit Granada? As Granada has a ski resort and beaches 30 minutes away it’s a wonderful place to visit in all seasons. May is my favourite time because at the beginning of the month there is a popular celebration known as the crosses of May. This time of year the orange blossom is in flower around the region and the plants and flowers are particularly bright and colourful. 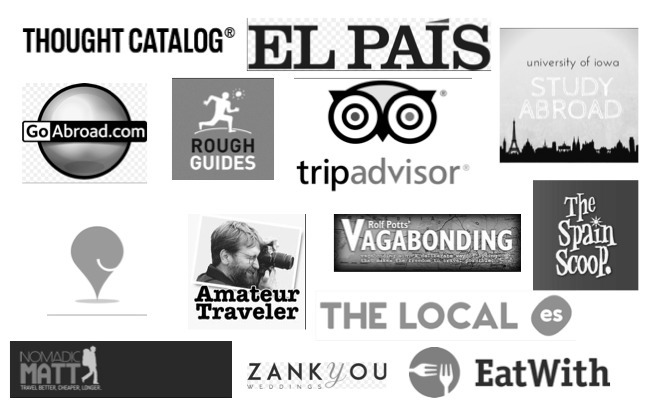 Can you recommend somewhere to eat in Granada? Granada really is a heavenly place for foodies. It has lots of local produce and a large selection of seasonal dishes. 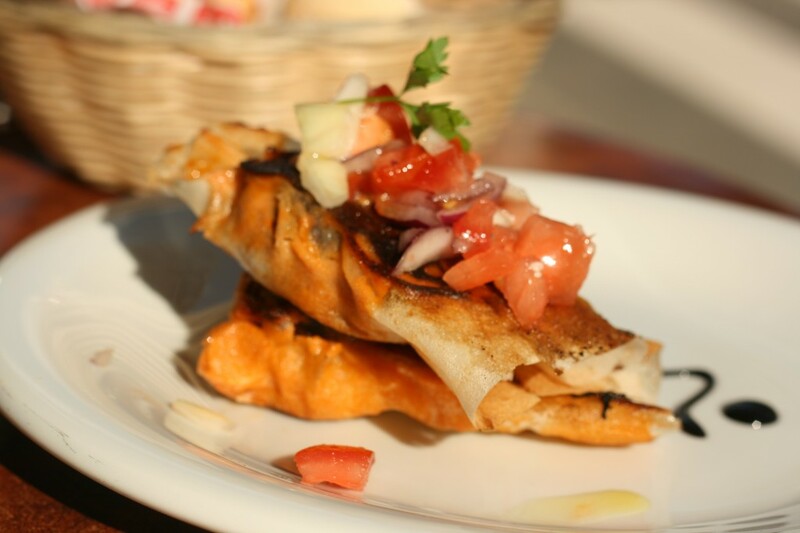 It you want to sample the local tapas the most popular area is Calle Navas right by Granada town hall. There are bars and restaurants packed in one after another. In Granada Spain’s only revolving restaurant gives views of the city and of the snow-capped mountains, too. Panoramic 360 is a good option for a romantic dinner with views. Granada is often affected by Earthquakes and tremors as it is in a seismic region. On 26th December at the Virgen de Angustias church in Granada a special service is held. The idea is that the Patron of Granada, the Virgen de las Angustias, protects us for another year from a large Earthquake such as the disaster back in 1884. There is a saying about Granada: Dale limosna, mujer, que no hay en la vida nada como la pena de ser ciego en Granada. Come to Granada and see if you agree! Interested in Granada or Molly? 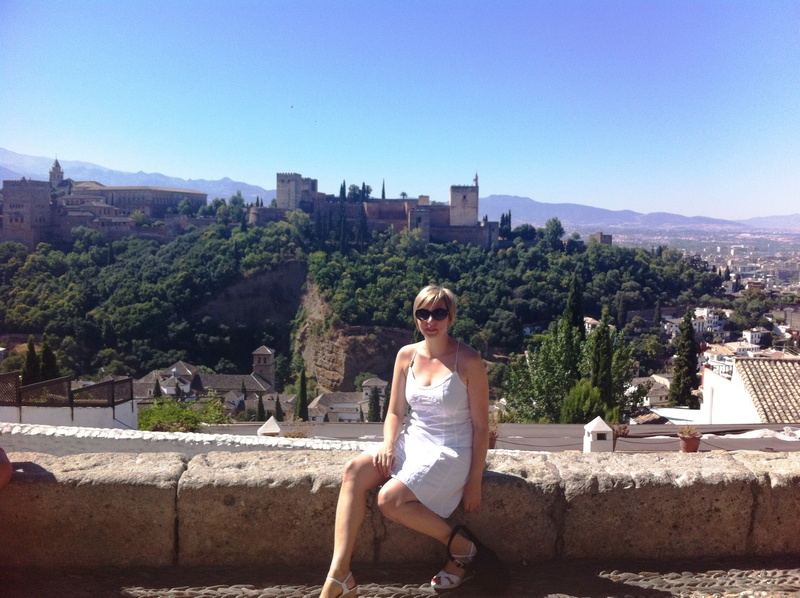 Check out her blog with recommendations on what to see and do in Granada: piccavey.com and see her interview about me, too! 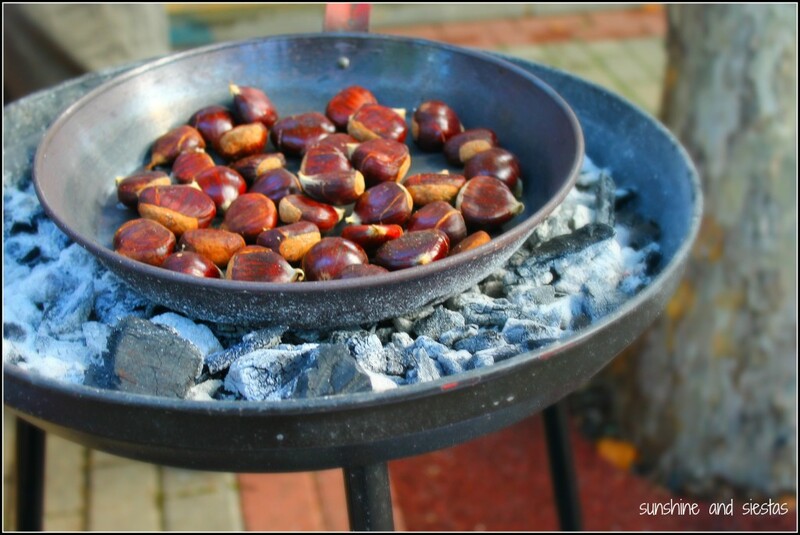 I never knew that ‘chestnuts roasting on an open fire’ was actually a thing until moving to Seville. When the weather turns crisp (which finally happened last week), peddlers wheel out large carts that have a hole cut in the middle, under which coals are heated, and the chesnuts, called castañas, are roasted. Castaño trees are all over Southern Europe, and the prickly nut is making a comeback in the gastronomic world. During the winter months, they’re picked up off the ground, roasted and scooped into paper cones. I always see kids reaching for them under the sheen of Christmas lights along Avenida de Constitución. I’m reminded of when I was a kid and my mom would take us to downtown Chicago to see the lights and windows at Field’s, and then treat us to Frango Mints and Garett’s Popcorn. What they are: European chestnuts. How they’re made: You can easily pick up a half kilo of chestnuts in the produce section of a supermarket and roast them at home by sliting an X into the hard shell and baking them for 30-35 minutes on 220°C. Or, if you’re lazy like me, you can just buy them from a vendor. Goes great with: Chestnuts are a fantastic snack on the street (and they’re probably the only things you can eat on the run and not have a sevillano stick up their nose at you). They taste smoky and a tad sweet at the same time. 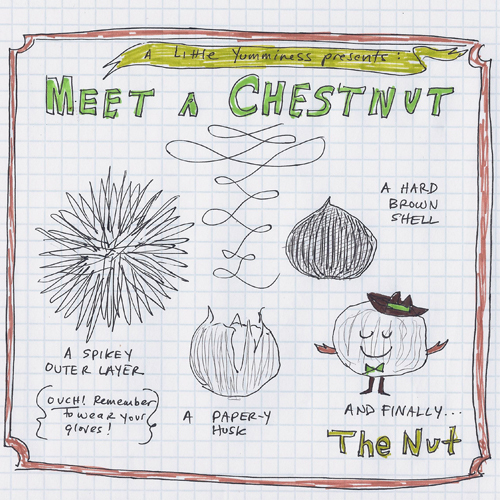 Have you ever eaten chestnuts? How many times have you said to a friend, ‘You really have to meet Pepa [or María, or Julie, or whoever]?’ As the resident fair godmother of guiris in Seville, I meet women constantly, causing the Novio to think I have a secret loverboy on the side. From this idea, plus encouragement from my friends Lauren of Spanish Sabores and Stacey of La Guiri Habla, PINC was born. Well, actually, PINC was born a year before, in Madrid, with a woman called Lisette Miranda. Tired of mere social groups in Spain’s capital, Lisette began a professional women’s group, designed to mentor, inspire and connect English-speaking women in Madrid. 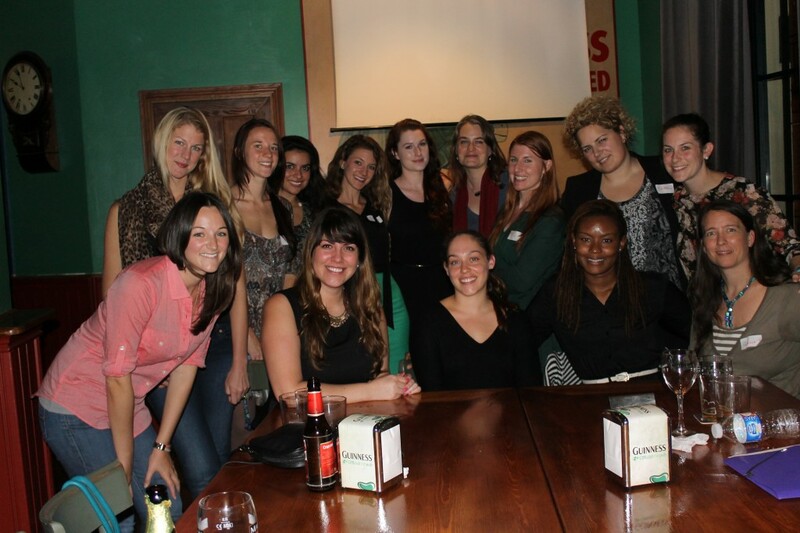 With her blessing, Seville got its first professional group under the PINC Umbrella, and we held our first meeting on October 25th at Merchant’s Malt House. Fourteen women were in attendance – several teachers and academy owners, a hostel owner, a life coach and one interested in non-profit. We introduced ourselves and our products and projects, Lisette gave us a crash course in making our Linked In profiles attractive to employers, and we shared a cocktail and networking session afterwards. Interested in PINC? Please contact my thru my personal email address or through my Facebook page so that I can add you to the list! PINC is open to an English-speaking woman in the Seville area.